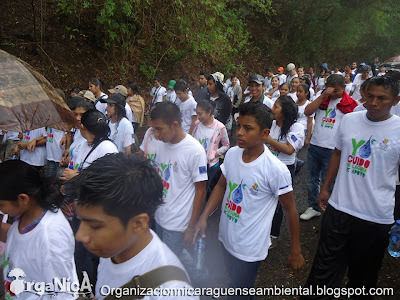 In spite of pouring rain, more than 300 people marched to show their devotion to Laguna de Apoyo Nature Reserve June 2, 2013, in the Caminata Ecologica from the entrance of the Reserve to the front gate of Estacion Biologica. 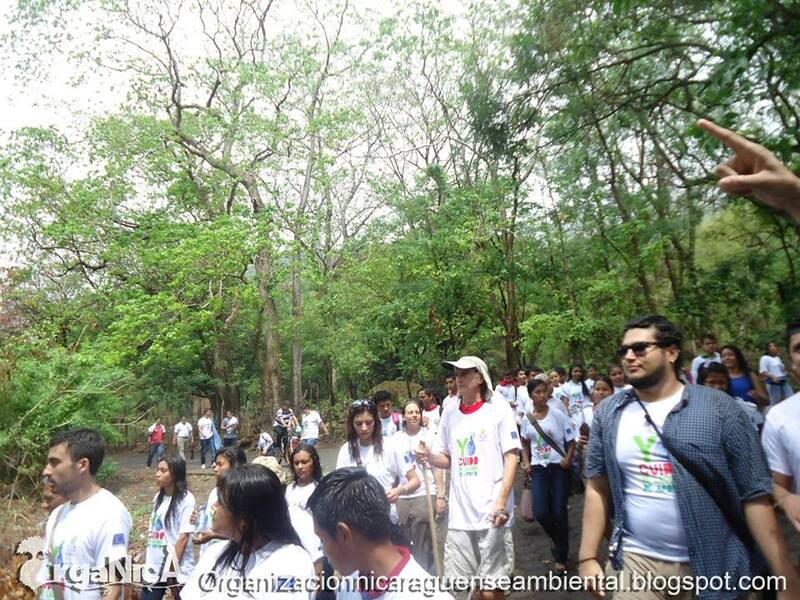 Hundreds of people, young and old, came to the "Caminata Ecologica Laguna de Apoyo 2013". Photo Ilse Diaz. FUNDECI/GAIA participated in the march, with staff, volunteers and students of Apoyo Spanish School joining Nicaraguans in the planning and execution of the activity. Some private enterprises participated, most notably the telephone company Movistar which provided logistical support and a sound system. 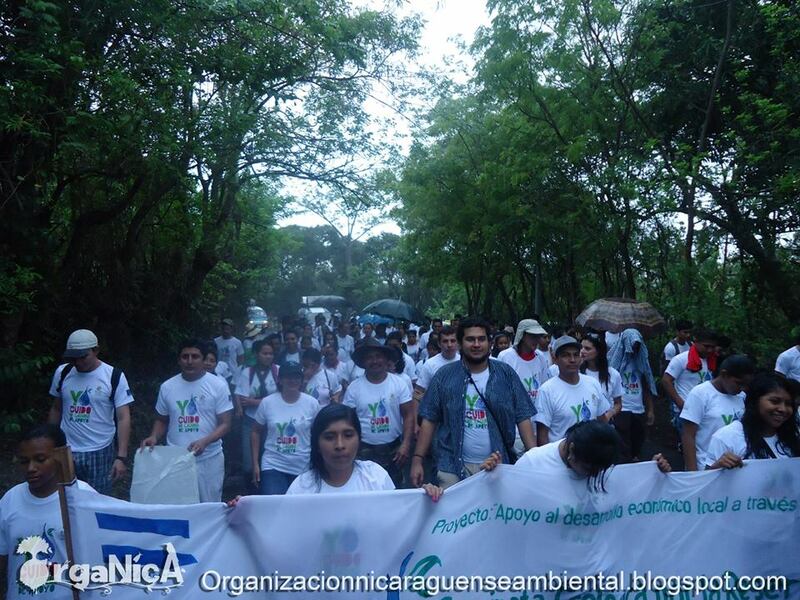 Hundreds braved the rain to march for Laguna de Apoyo. Photo Ilse Diaz. Although the weather was poor, people came. Hundreds of them! People came from local schools and homes, nearby towns, Masaya, Nindiri, Granada and even from Managua. Many people living inside the reserve emerged from their houses to join the march and some even offered treats to the participants as they passed. 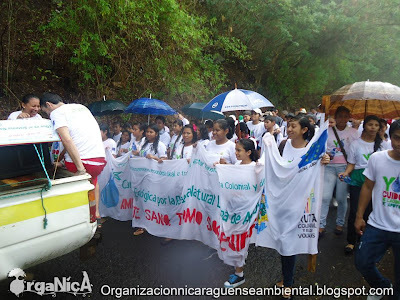 Laguna de Apoyo Nature Reserve faces many threats, but many people demonstrated to place nature above the greed of people. Photo Ilse Schwartzberger. We think this march served a very important purpose, because many different ideas exist regarding the purpose of this beautiful place. We think this is a place where nature comes first, where people should respect the rights of animals and enter and leave without leaving heavy footprints. Many others-especially foreigners trying to build houses inside the Laguna de Apoyo Nature Reserve-think differently, although some of them participated in the march, too! 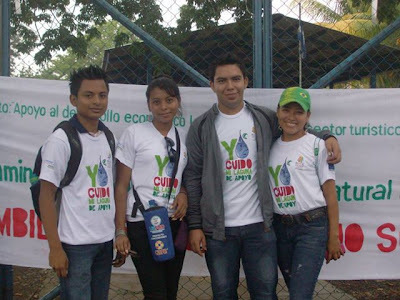 Students of Apoyo Spanish School were not deterred by the rain! Photo Ilse Diaz. The march stopped at the front gate of Estacion Biologica, where squatters have been testing our patience for some time. The squatters watched cautiously as the marchers gathered, fearful that their eventual fate of leaving property not belonging to them was coming sooner rather than later. Many Nicaraguans desire to participate in protecting the environment. This Caminata Ecologica gave many the opportunity to make their opinions noticed! Photo Ilse Diaz. 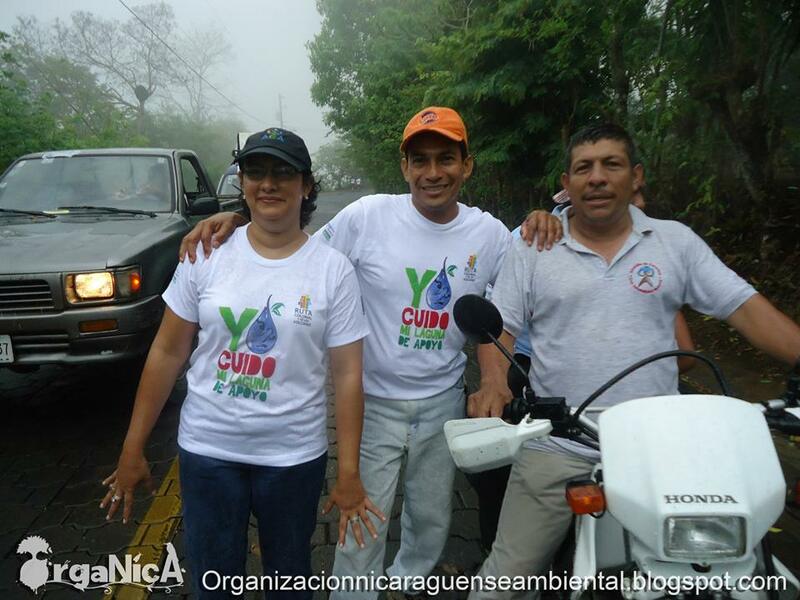 We don't just participate in marches at FUNDECI/GAIA. We are active in helping the police, MARENA, and other institutions in making the area work for everyone. 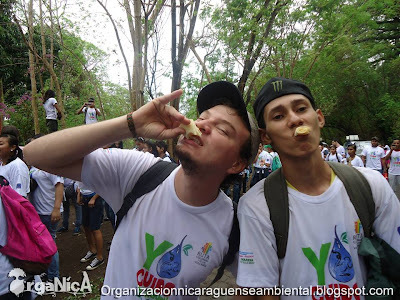 We advocate for the rights of the less advantaged people, for the wild animals, and for compliance of environmental laws which sometimes seem to be forgotten. Our volunteers work with wildlife and with local people to promote the protection and sustainable development of resources in our area. 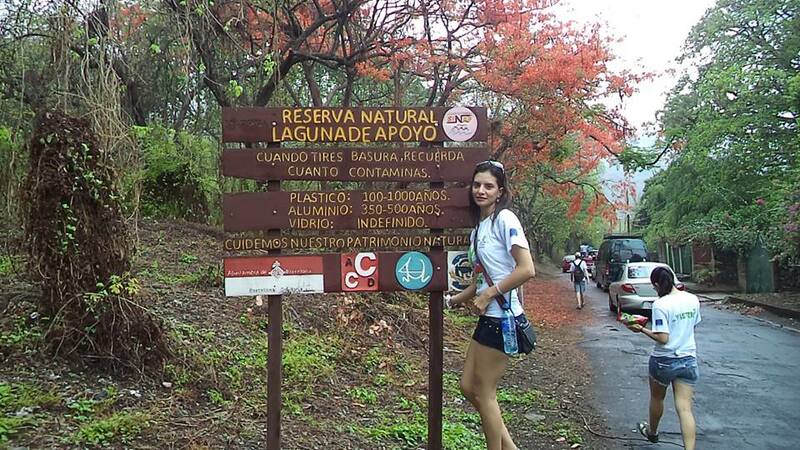 More people who love Laguna de Apoyo! Photo Rony Vargas. 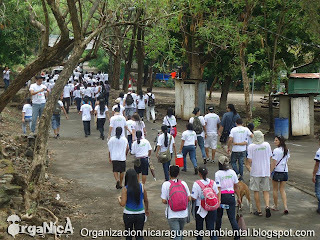 Marchers for Laguna de Apoyo numbered in the hundreds. Photo Ilse Diaz. 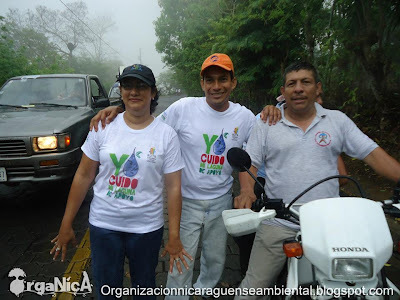 Karla Bolanos from MARENA Masaya, Andres Diaz from OrgaNica, and Reynaldo Acevedo Mayor of Catarina, enjoying the beautiful weather for a stroll! Photo Ilse Diaz. Two more volunteers from OrgaNica on the march, munching down on some pancakes along the way. Photo Ilse Diaz. 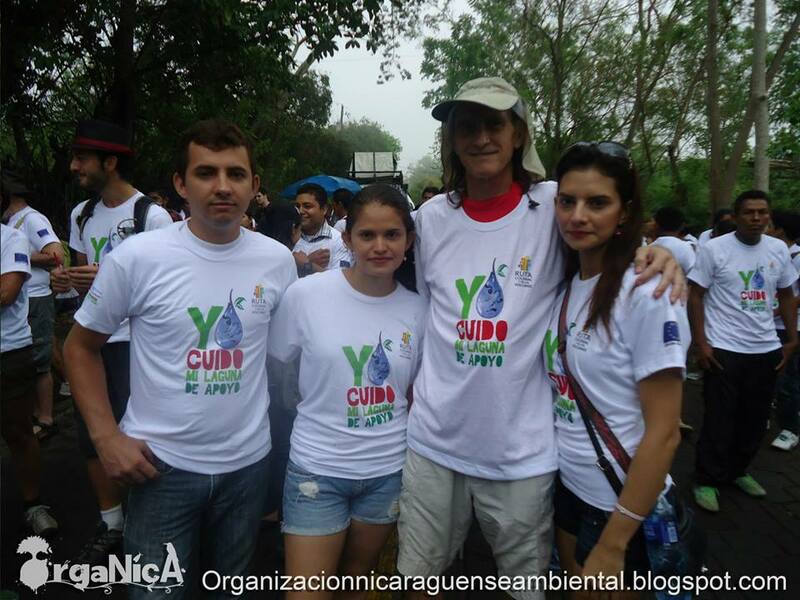 Volunteers gave their day to show their support for our beautiful Laguna de Apoyo Nature Reserve. Photo Ilse Diaz. The weather cleared as the marchers reached the property of Estacion Biologica. Photo Ilse Diaz. Plenty of fun and good humor along the way! Photo Ilse Diaz. 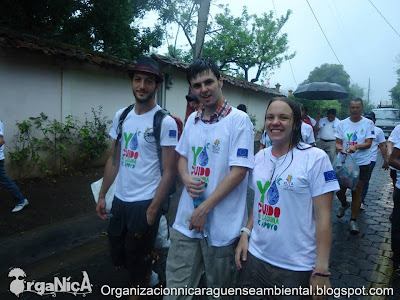 Volunteers marched in moments of heavy rain. Photo Ilse Diaz. 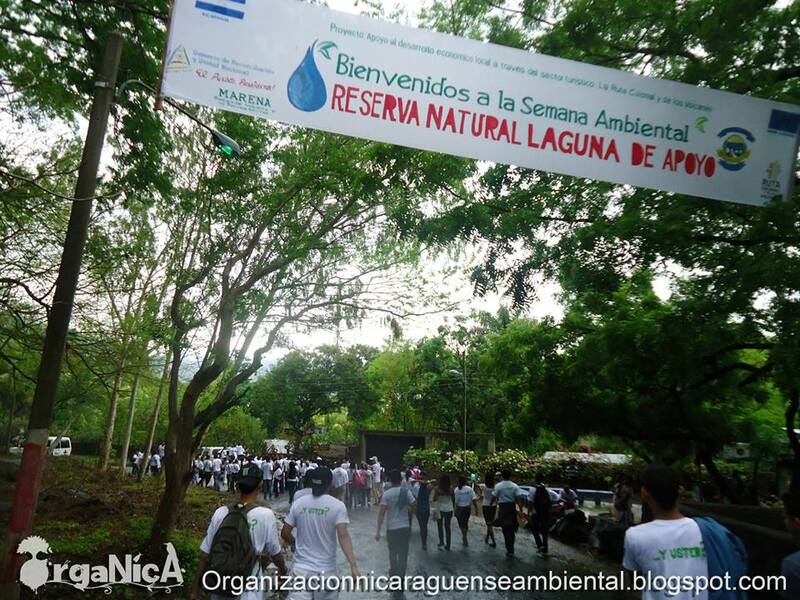 You don't have to be a Nicaraguan to care about protecting the environment in Nicaragua. Initiatives such as this one, in which the Nicaraguan Ministry of Natural Resources and the Environment worked with many groups and individuals to make the march a success. 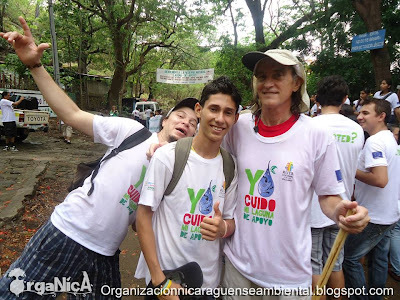 Nicaraguans and interested foreigners walked hand in hand. Laguna de Apoyo marchers came from several towns, and as far away as Managua. Photo Ilse Diaz. Can you imagine your image in these photographs? 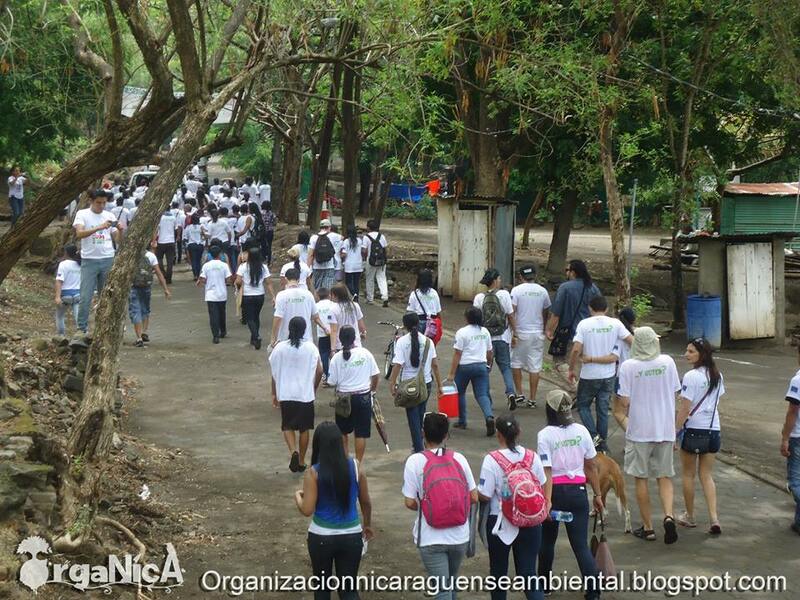 You can participate in volunteering to help to make Nicaragua a better place for nature and humans in harmony. 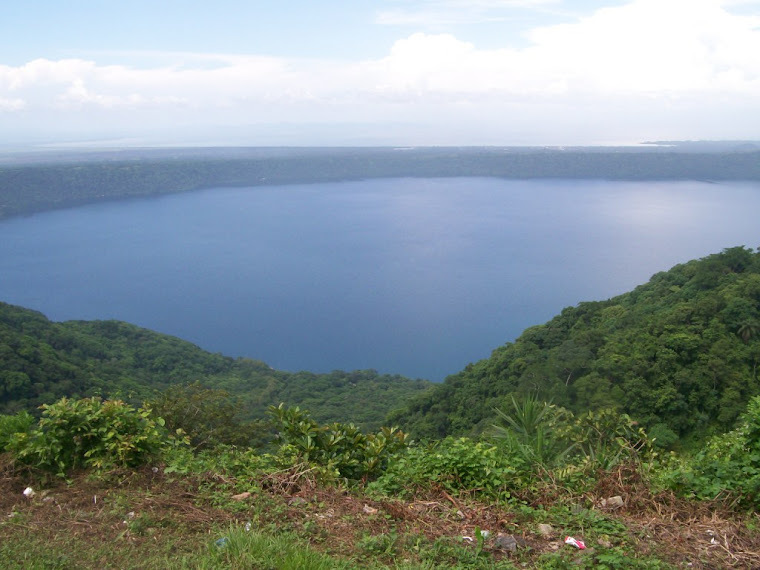 Be an environmental volunteer in Laguna de Apoyo! Write us to find out how you can participate.